If you would like to determine paternity during pregnancy you can do that with a prenatal paternity test with zero risk to the fetus. During conception the DNA profile of the baby is already established. A very exciting test for individuals wishing to discover paternity results before the birth of a child. Using complex bioinformatics algorithms we isolate free floating fetal DNA from the mother’s blood. This is the perfect option for those that want to prepare for the birth of their child, and properly complete the birth certificate and Voluntary Acknowledgement of Paternity when their baby is born. 1. What is the success rate of this test? 99.9% as long as there is sufficient fetal DNA in the mother’s blood. Where insufficient fetal DNA is present, we recommend waiting 2–4 weeks and recollecting the mother’s sample as the amount of fetal DNA in maternal blood typically rises with gestational age. You will not need to recollect the alleged father’s sample. 2. Is it more accurate than an amniocentesis DNA test? 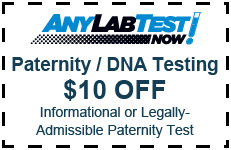 Different amniocentesis based paternity tests quote accuracies being between 99 and 100%. With accuracies typically at 99.9%, our test is comparable though the two tests have not been directly evaluated head-to-head. 3. What is the difference between this test and an amniocentesis test? The most important difference is that this test can determine the paternity of your child from a noninvasive blood draw with zero risk to the fetus, whereas amniocentesis uses an invasive procedure that may increase the risk of miscarriage. 4. 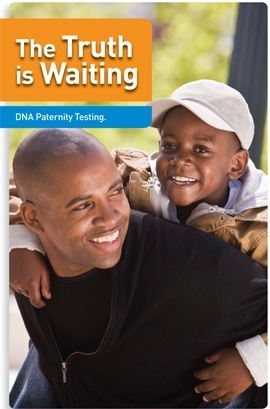 What is the difference between this and a “regular” paternity test? The main advantage of this test is that it can be done before the birth of the child, and does not involve an invasive procedure so there is zero risk to the fetus.